Drive down through Oak Creek Canyon, consistently one of the top 10 scenic drives in America as we descend 2000 ft in elevation once we reach Sedona. 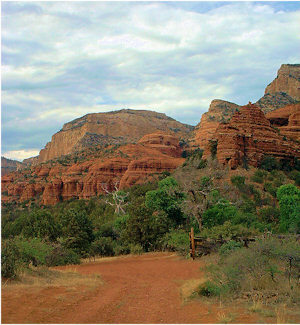 Cover Sedona from one end to the other and everything in between on the most comprehensive introduction of Sedona. Learn all about the history, geology, folklore and legends of one of the most interesting places in the world. You'll have plenty of time on this 2 1/2-hour tour to take in the wonders that have made Sedona #1 of The 10 Most Beautiful Places in America. 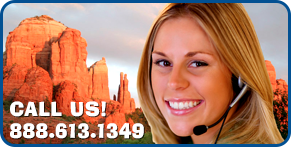 You'll travel in comfort on our spacious vehicles that give you a great view of Sedona. Our experienced, knowledgeable and entertaining guides will ensure you have a good time. With the ample time spent outside you'll be able to photograph the amazing views. You'll learn about Sedona's mysterious vortex sites and get recommendations on places to shop, tours to do, and places to dine from Sedona's oldest destination tour company. If anyone knows Sedona, we do. And there's no way you can adequately cover Sedona in less time than this tour. A must do early in your stay! In the afternoon you are on your own to have lunch at one of the many restaurants in the Uptown area and later explore the many unique galleries and shops. You also have plenty of time to enjoy up and close the red rocks, for an additional cost, with a jeep tour or helicopter ride . Departure time is approximately 9:30 in the morning with pickups slightly before that depending on the specific guest hotel. Tour operator will contact guest the afternoon before for exact pickup time and answer any last minute questions. There is no meals included in this tour. Our guide however will be glad to point out our favorite restaurants and give recommendations based on your preferences. Light. Little walking is required since we are trying to cover as much scenic locations as possible.